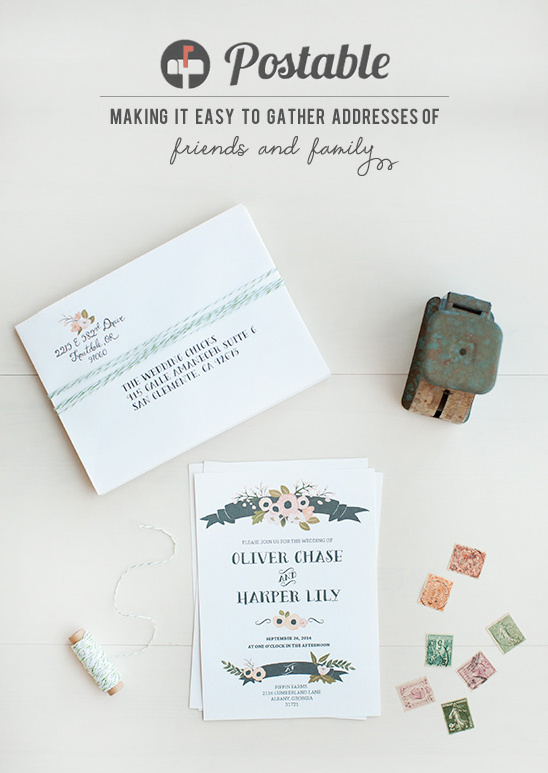 Even though emailing is our main form of contact these days, we still recommended to send your wedding invitations the old fashion way - through the mail. That means you are going to need everyone's mailing address. Luckily you now have Postable! It's an easy solution to gather all those mailing addresses. Best of all it is totally private, secure and do not forget FREE. How it works: Postable gives you a personal link you a link (postable.com/YourName). You send this link to your friends and family. They fill out a 10 second form and your address book magically fills with up-to-date info for everybody. No more months of tracking people down. Export contacts to Apple Address Book, Outlook, Gmail, Excel, and even print mailing labels. So incredibly easy and such a great solution. Not only for your wedding invitations, but for holiday cards and other special occasions. 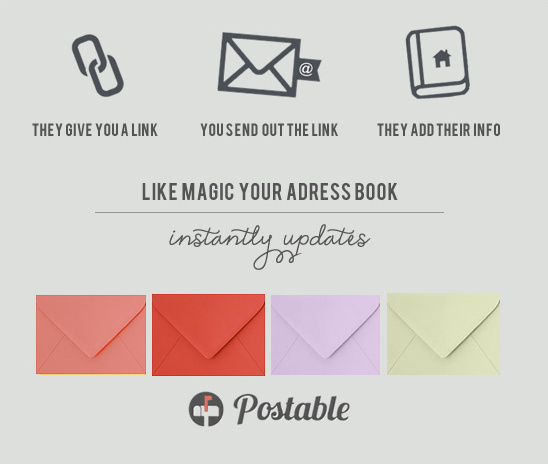 Start gathering addresses now with Postable! If you love the envelopes, you can get them here.